Tasmania was given an exemption from competing due to floods which disrupted their preparation. The AARC resolution read: "That exemption be granted as a special case in view of the exceptional and unprecedented circumstances and that Tasmania shall not lose its next turn in the rotation of the race." Queensland also had an exemption under the rules from competing in WA. 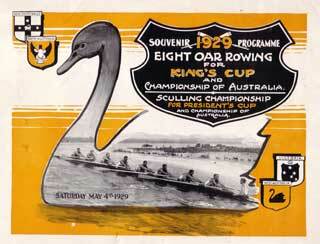 The eights race was a splendid race between NSW and WA with VIC close up for the first three quarters of the event. 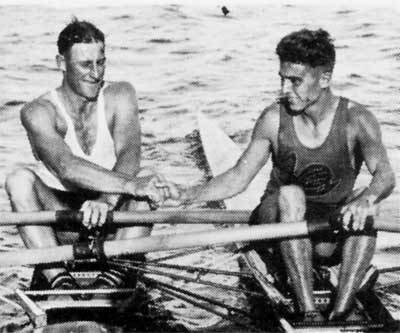 The NSW crew was comprised solely of members of the Mosman Rowing Club who had won the Henley on the Yarra Grand Challenge Cup on two occasions. It was also the first win for New South Wales since 1911. The Victorian Rowing Association allowed selected crews to be challenged for the right to represent their State. A successful challenge was mounted by the Ballarat Clubs and a new crew named to represent Victoria. 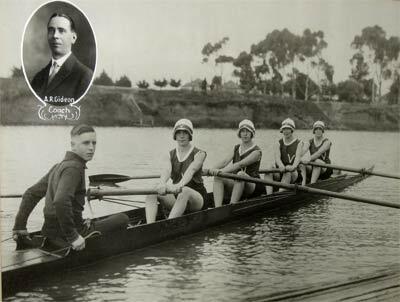 The Victorian Rowing Association did not have a sculler of sufficient standing to compete. The Victorian crew hailed from the Essendon Ladies Rowing Club and won by a mere one foot from NSW who had led throughout the race until the last few strokes. The NSW crew looked far better than the Victorians but the Victorians used rate and determination to overcome the NSW women. This was Victoria's first win in this event. The district of Essendon also got it's first Champions in any sport. The Mayor and Councillors of the City of Essendon met the girls upon their return at the railway station and they were taken by motorcade to the Essendon Town Hall for a Civic Reception.